Have you been considering a kiddie train or a mini train as a business opportunity? 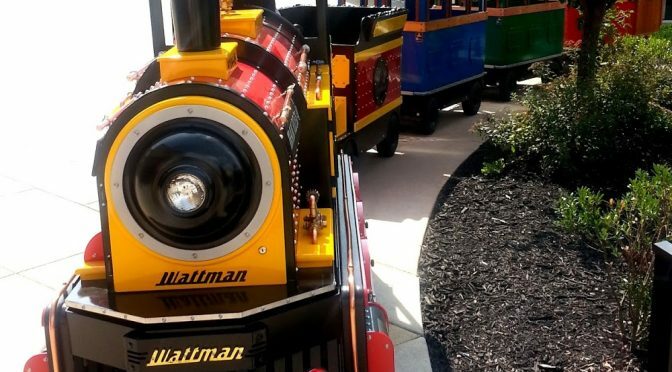 Pursuit Zone was recently asked to sell a Wattman kiddy train that is currently used at a mall. Since this mini train is trackless, it can be used inside or outdoors. After visiting with the owner, I found myself thinking about kiddie trains as a small business opportunity. What services can the owner of a mini train charge for? Children can pay for a ride. The train can be rented on an hourly basis. How much could be charged per ride? The owner of the mini train that Pursuit Zone currently has for sell charges $3 per ride. How much money could I make with a trackless mini-train? I’m going to use our seller’s business model: I am also going to be extremely conservative in my estimates. Let’s assume that over the holiday shopping season, you ran the train only 8 hours. $144 x 8 = $1,152 per day. 7 days per week: $1,152 x 7 = $8,064 per week. If you had two trains to run in the mall, you could be loading kids into one train while the other train is running it’s route. How much do these trackless trains cost? Well, it depends if you buy new or used. The used Wattman kiddie train that we have for sale is $26,900. If you want to contact someone with Wattman to find out what their trains sell for go to http://www.wattman.world/ I’m sure there are other manufacturers but this company is extremely reputable. Is it better to buy new or used? Similar to buying a car or house, there are pro’s and cons to both. You will potentially save a lot of money if you buy used. However, be sure to find out about how well it has been maintained and what kind of maintenance issues it has had. If you buy new, it still could break down or have mechanical issues – so be sure to ask about the warranty. You may be purchasing a train that is manufactured outside the United States…… timely manufacture and shipping can create huge challenges. 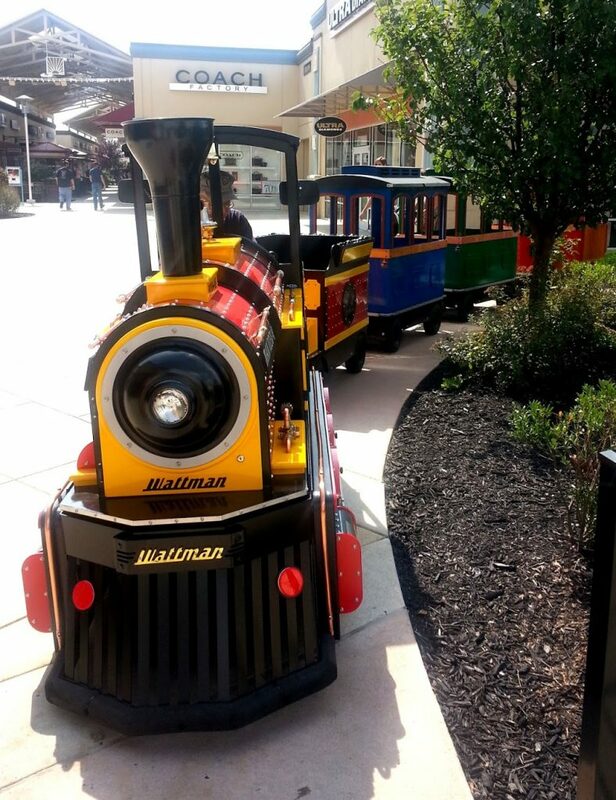 Aside from a shopping mall, where else could these mini trains or kiddie trains be used? zoos, football games, baseball games, fun and entertainment centers, flea markets, farmers markets, carnivals, parades and other special events. If I wanted to rent a kiddie train out by the hour, what are some types of venues where I could do that? Birthday parties, church fairs, company picnics, holiday events etc. Are there any other business considerations? I always recommend speaking with an attorney and a small business accountant that is familiar with your local area’s regulations. Other considerations will include : insurance, taxes, routine maintenance and employee/staffing considerations. Will you be the primary operator or will you have employees? Will this be a cash based business? If you have employees and it is a cash based business, you need to consider how you will ensure that you receive all cash collected. Again – the entrepreneurs imagination is the limit. Photos of kids that are taken of the train, while in a cool spot where the parents are not going to be able to easily snap a picture with their cell phone. snacks, drinks, or vending machine in the waiting area. If you have any tips, advise or ideas about mini train business or operating a kiddie train business, please feel free to share them in the comments. About the author: Sondra Meyer has been licensed as a CPA in the state of Texas since the mid 1990’s. She loves helping small business owners accomplish their goals in the most financially prudent manner possible. Thus, she found herself working in marketing & sales also. She is the proud mother of two boys and one grandson.